← Consumption or Creation: Where’s the future???? Why am I not changing my phone???? 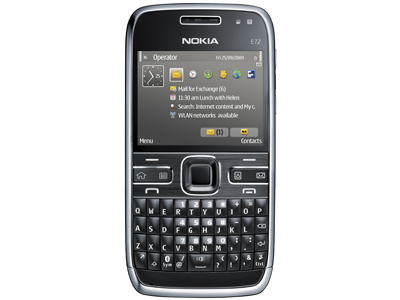 I am carrying a Nokia E72 and today marks its one year in custody with me. There’s a story we all know, ”Crying Wolf”! It’s when a shepherd always teases his village mates by crying wolf, wolf and they would all scurry only to find him laughing and telling them, he was just kidding! 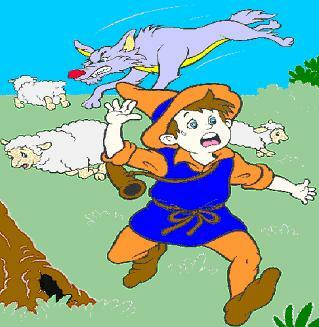 One day a wolf actually came, he shouted but no one came doubting it to be one of the sheperd’s many hoax calls! In the end, the shepherd found himself comfortable in the stomach of the wolf! Why am I reminding you all of this old story? That’s because, it has been twice now. What? I have started a tweet series about my next phone purchase, my twitter buddies discussed each and every choice’s pros and cons in detail with me.. I did not buy anything the first time. I am NOT buying anything the second time around too. Sorry guys, I know it would be difficult for you all to believe me when I would actually go ahead and buy a phone!! Ha ha! But this article is just to emphasize my resolve of not buying a new phone in 2011. It’s new year just around the corner, people are making plans for new itmes, new gadgets [more so my geek buddies in my twitter timeline ;-)]. Ok, so why am I not changing my phone right now? Nokia E72 has served me well. I consider myself a *little* bit more aware than an average consumer and I am firmly entrenched in the field only. My usage are just a little bit more exhaustive, more detailed and require my phone to strech just a little bit more. Nokia E72 falls sort on some of the required parameters required by me to extract just a little bit more. Less RAM is one of those hardware failures my phone possesses. Well, this phone supports me in multiple ways. (b) I have heard a lot of E71’s build quality being far superior than E72’s. Well, to be honest, I have never spent enough time with an E71 to make a comparative judgement but I know for sure that my phone is built like a tank. Don’t ask me, how and where its built quality has been tested in my house, but believe me when I say this, this phone has seen and endured A LOT! (c) The battery is awesome and keeps me sane with a long life in all those train journeys that I undertake (part of my job) which probably, a phone from a particular OS platform may not even dream about! (a) It lets me do three of the most important things in my work day! Calls, SMSes and Emails! Ok, I rely on a thrid party client for Email to render default HTMLs. (b) Phones in India do not come operator subsidized. You get them, locked (in case of BBs or iPhones) or unlocked but always unsunsidized at a premium. (c) The camera is not brilliant and ofcourse, not a camera flagship but an amazing cam for a business phone. I will go on to say, it has got the best camera in its segment. (d) I work very hard to earn my money and it becomes imperative for me to give a thought to my phone buying purchase. An HTC Desire Z or a Nokia N8 or a Blackberry Bold 9780 will cost somewhere between INR 24,000 to INR 28,000. Let me tell you, that’s hell lot of a money! Lol!!! I do not want to part with my money for a phone until my E72 pushes me to the wall and I am happy, that forget about being pushed to the wall, it is keeping me very comfortably in the centre with just a slight wobble here and there! That money can buy a 2 day holiday for me and my family in a near by country or backwaters of Kerala! At this stage of my life, with a wife and a daughter, a monthly income and future to look for, I would really need to define precisely, what’s a genuine need and what’s a superficial want. Honestly though, I do waver sometimes, but I have twitter friends like Saurabh (@arbit on twitter) to pull me back, bring my sanity back! I will surely buy a new smartphone but for the time being, my trusted and proven companion is E72!! I love you and I accept you with all your strenghts and weaknesses! 28 Responses to Staying put!!!!! brainwash??? Yeh kya hai??? What am I missing here? Ha ha!! Want me to convince you to go for Desire Z as well? Well, first reply to my above observations. Then I will convince you how you can still go for Desire Z keeping all your criteria intact! First of all, thanks for reading it. Ofcourse, the point here is not about purchasing power or which one can I afford. (Believe me, 25k will have me paying through my nose! There are commitments) The point here is, what is it, these phones offer that my E72 becomes absolutely non viable? Not much. I have been living on my virtually for the weekdays and rarely get a chance to hop on to my personal laptop on weekends. My official laptop is as useful to me for my personal tasks as a victoria secret lingerie with no one to gift! I need my phone to take care of my basic social media needs, pay utility bills, one or two odd games to keep me engaged while waiting, eBook for occasional readings and not serious, office to edit Ultra imp files and some web. It has an awesome camera for a biz phone. Takes care of most of the spontaneous photos needs! However, one major grouse is RAM and apps. And by no means, I am saying that this phone is perfect but it takes care of me and sees me through. Is there really a NEED to justify a new phone purchase for me at this point in time is the question and I don’t see a very compelling reason. You make some good points, but then if everyone stepped back and started analyzing their next phone purchase, manufacturers ka kya hoga? I too had a similar dilemma, and stayed with my n82 for more than 2 years. But ultimately, it was the apps and lack of speed that turned the tide and made me go for the galaxy s. I still miss some aspects of nokia though, the build quality, the camera and far better battery lie. Thanks for going through the article Jagan!! Ha ha! Don’t worry about the manufacturers!! They are selling in millions. Galaxy S is not even an year old and has already nearing 10 million units in sales! You stayed put with N82 for 2 years and then shifted to a Galaxy S. There would not be to analyze their phone purchases better than you! However, it’s been only an year for me with my phone and it’s going strong! Exactly my views , big question , is there any NEED to dump current phone which serves you well(almost) ? For me E52 fits perfectly like your E72 ! Good to read ‘common sense’ post after long time. That’s a great writeup, Ashutosh! I am honored to find my name there. Your rationale for buying makes cool sense but please don’t stop ‘crying wolf’, it gives me a chance to tweet! you and I go long back and giving sane advices to each other is expected between us now!! Though it’s only me who needs it all the time from you! Lol!!! Thanks for that advice. Just got me back in nick of time! i probably will cry wolf once again when this li’l companion of mine frustrates me at some crucial juncture! Good post mate! How much I agree and feel it, you can understand with just one statement “only a nokia e72 user would have said it”. thank you Nitish! Coming from an established blogger like you, it’s a great thing! arre baba! You get those 150,000 hits a month, I am on a total of 70! Don’t remember but you tweeted that around 15 days back… Huge difference man! But I like your site! It’s simple with a will to become big..
Are nahi baba! !… I said 1.5 Lacs total, not in a month. I would have died with joy if was getting this much big hits. The cost difff of an exchange deal may not be so high but I feel you will only get a cherry on your ice cream with BB you like. The fight is still on to get the best qwerty device justifying the 28K+ cost . You HAD to bring the VS lingerie bit no? To someone as adamant as me or any other geek loyalists.. the device is from an era when mobiles had a personality. Its an era before android. Takes care of most needs as mentioned in the post Yashpal but then that’s about it. It’s a solid device which would have done itself a ton of good sans symbian! Great article bro. And very nice way to put a common man’s thought on blog. I too was a happy E72 user and used it like anything. If it was not for the camera, I would not have been shifted to N8. Its only the camera part that won me away. But I still think that you can exchange your E72 to get something like BB 9780 which fits more into your lifestyle with all those things like better social integration, better emails without spending too much. Mine E72 has got 12k after 1 year so yours can get same too. Add another 12-13k and you are good to go for another 2-3 years. Hey Pankaj! Thanks for going through the post.. If camera was your need, N8 is the perfect device you are holding in your hands. Your Lansdowne trip is a testimony to that. As I said, I have found a perfect equilibrium with E72. Apart from the meagre RAM and lack of apps, it serves me very well and none of the current crop is compelling enough to change. As a very dear friend from twitter put it, I can very well stay on with it and pass this current generation of phones which are ”illusionary distractions”. lol!!! On a serious note, think about it, 15k that I saved on buying a phone this month ensured a house paint! 15k saved next month will ensure a scooty for my wife. 15k saved month after that will ensure a camera for me.. I really do not see any reason to take the BB9780. The camera is nowhere close near my E72 which itself has got a compromised camera but fantastic for taking those spontaneous pics.. Even if its not a Carl Zeiss on Nokia E72, but one can fairly say that this one still the best business camera phone around (don’t forget Auto Focus and hence Macro shots). You have all reasons to stay with it.